Award winning four-star country house hotels, cosy pubs, family-run bed & breakfasts and self catering options of every style and size; Northumberland has accommodation to suit every taste and budget. 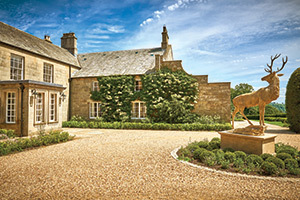 Set in 100 acres of stunning Northumberland countryside and placed on Hadrian’s Wall, Walwick Hall Country Estate blends the comfort and elegance of an English country retreat with a distinctively modern spirit to bring guests a unique, luxury experience that’s a world away from the norm. The hall features ten luxurious, individually designed rooms comprising a mixture of suites and deluxe bedrooms, each with its own distinctive personality. Their design themes have been carefully curated to celebrate uniqueness and modernity whilst, at the same time, perfectly complementing the original Georgian character of this boutique country hotel. Walwick Hall Country Estate’s sophisticated, yet laid-back and welcoming atmosphere carries through to in their dining options, too. The Dining Room in the hall prides itself on serving the very best of British food, thanks to award-winning head chef Steven Murray. Steven’s menus blend quality ingredients from Walwick’s unparalleled Northumbrian larder and fresh vegetables from their own kitchen garden to create traditional dishes with a unique modern culinary twist. While you’re there, take the time to explore Walwick’s stunning grounds and surroundings, where you’ll discover an abundance of breathtaking scenery, local wildlife, cultural gems and fascinating world heritage sites, all on your doorstep. If enjoying the peaceful Northumbrian location is not enough, then a visit to their tranquil Spa will certainly help you to unwind. Set in a luxurious glass-walled pavilion with unrivalled views of the hall’s beautiful countryside surroundings, Walwick’s Spa is a truly relaxing space with a pool, jacuzzi, steam room and treatment rooms with highly skilled Elemis therapists offering no fewer than 30 different treatments and therapies to replenish the mind and body. 2018 is a particularly exciting year for the Walwick Hall Country Estate with the launch of Chesters Stables, eight individually-designed suites situated just a few minutes away from the hall. Opening this spring, these luxurious new suites range in size and each feature a private terrace, a fully-equipped kitchen with dining area, living areas with toe-warming open fireplaces, sumptuous sofas, king-sized bedrooms and plenty of room to relax in a new home away from home. The new suites offer all the perks of a boutique hotel but with the independence and privacy of being in a private home. Although each suite comes fully-equipped for modern living, guests of Chesters Stables can also enjoy full access and complimentary transportation to Walwick Hall, where crackling fireplaces, indulgent fine dining and a tranquil Spa beckon after long days of exploring. The impressive Macdonald Linden Hall Golf and Country Club was built by merchant and banker Charles William Bigge in 1812. 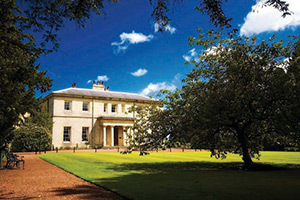 This beautiful 18th century manor house nestles in 450 acres of private grounds: the perfect country house hotel. Boasting several versatile function rooms and an 18-hole golf course, it's the perfect venue for business events. Complete with complimentary Wi-Fi it is close to major transport links and also offers extensive health club and spa facilities. Our stunning Northumberland countryside location and award-winning food and drink are ideal for weddings too. The AA rosette Dobson restaurant offers fine dining throughout the year, or opt for the informal Linden Tree pub that offers relaxed dining with locally inspired produce. The 50 guest bedrooms are individually and elegantly furnished. Some rooms have 4-poster beds; each has its own private bathroom supplied with thoughtful extras. There is a choice of dining: the double AA rosette awarded Dobson Restaurant, offers an extensive a la carte menu made from finest local ingredients; while the more informal Linden Tree serves bar meals (closed winter season). Nestled into the heart of Kielder Forest Kielder Waterside lodges bring a touch of luxury to the great outdoors. 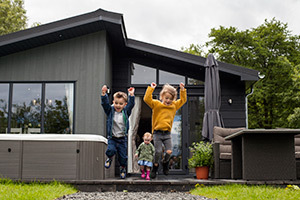 With a range of lodges to choose from, from pet-friendly to private hot tubs, family sized adventures to romantic getaways there’s the perfect home-from-home for everyone. 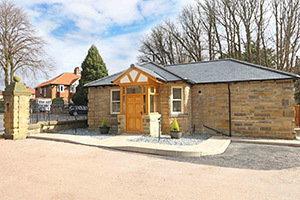 On site alongside the lodges there is the shop for emergency supplies, tasty treats and souvenirs plus the heated indoor pool and sauna are just next door. There is even an onsite pub, the Boat Inn, serving yummy food and refuelling tired adventurers. The luxury lodges include a choice of experiences, whether you’re a BBQ fan, a star spotter or someone who just loves a soak in a swim spa! There is a play garden, ideal for big kids and little kids alike. Enjoy family fishing on the stunning Kielder reservoir, see a flying demonstration at the birds of prey centre or take a scenic walk along to our Tower Knowe café and enjoy delicious home made ice cream. If you don’t fancy the walk to Tower Knowe, you have a range of options for food and drink at the Boat Inn and The Hide at Kielder Waterside. 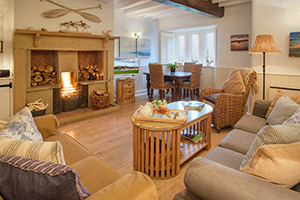 Cottages in Northumberland offer a great range of luxury coastal and country holiday cottages in the Northumberland area. Whether you choose a cosy bolt-hole for two or, somewhere for all the family – including your dog, you will find an excellent choice of self-catering holiday cottages and apartments, in fact, you’ll be spoilt for choice! By spending time in one of their beautiful holiday cottages, you will either be close to the breath-taking coastline, boasting fabulous sea views and within easy access to the stunning Northumberland coastal path. Or, you might choose an idyllic country cottage, located in the heart of Northumberland, offering you a great opportunity to enjoy star gazing in Europe’s largest dark skies park at first hand. When you book with Cottages in Northumberland, you will always receive the very best customer service both before and during your stay. Their friendly, local team are on hand 7 days a week. They will also help you to get the most out of your holiday experience by giving you suggestions for great days out - in addition to offering you a selection of special offers and discounts off a variety of award winning attractions and local businesses. By spending time in one of our beautiful holiday cottages, you will either be close to the breath-taking coastline, boasting fabulous sea views and with easy access to the stunning Northumberland Coastal Path. Or, you might choose one of our idyllic country cottages, located in the heart of Northumberland, offering you a great opportunity to enjoy star gazing in Europe’s largest dark skies park at first hand. Wherever you stay, you’ll be able to enjoy the best of both worlds, both coast and country, enabling you to experience the very best that Northumberland has to offer!